There is no denying the fact that the most versatile and highly customizable Operating System in the mobile space is no doubt, Android. It’s open source nature and high degree of flexibility is what makes it mostly the only choice for developers and tech enthusiasts alike. 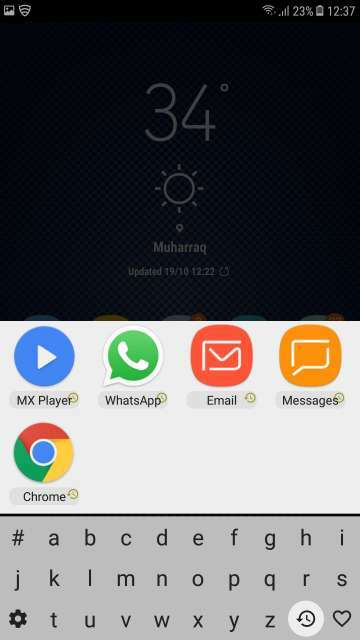 Moreover, you could manipulate the appearance and the way Android OS functions by installing themes, launchers or different types of applications as per your preference. Be it power users or casual users, Android has all of them covered. 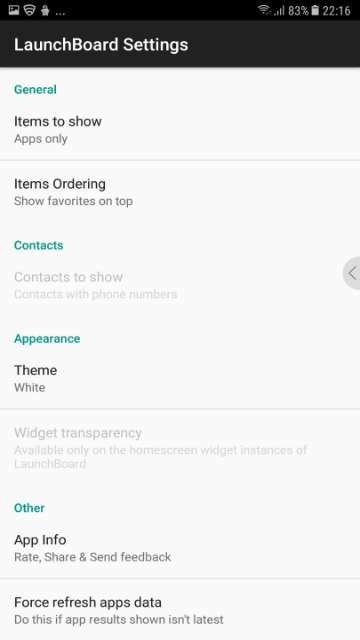 Now, speaking of customization, I would like to review an app called LaunchBoard. This app eliminates the need for you to go into the app drawer for launching any apps installed into your device. Not only does this save time and effort but also gets your tasks done faster. Launching an app is very simple. You just place a shortcut icon of LaunchBoard on your homescreen and tap the LaunchBoard icon to start launching apps blazingly fast. 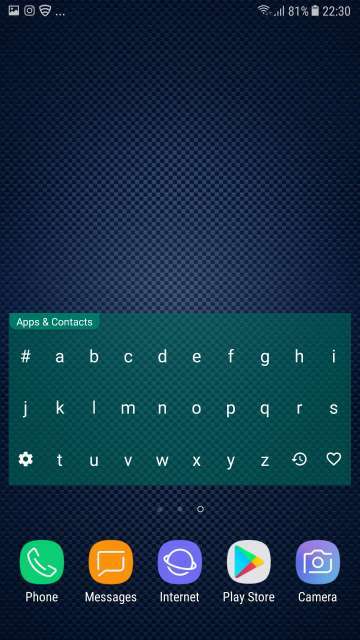 Moreover, for searching apps, you are provided with a keyboard in which the alphabets are in alphabetical order rather than the standard QWERTY keyboard system. 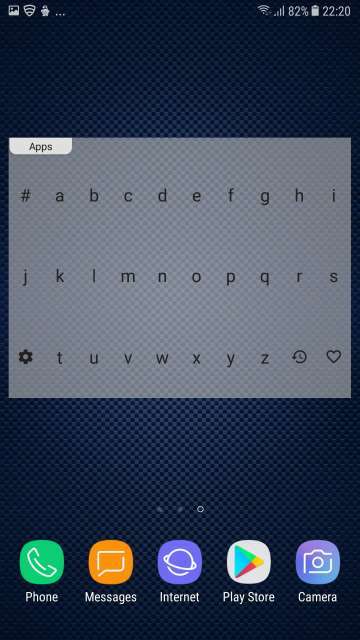 The keyboard setup is in the Alphabetical order because naturally, you would have to only specify in the first alphabet of the name of any app to get a list of apps starting with the specified letter. 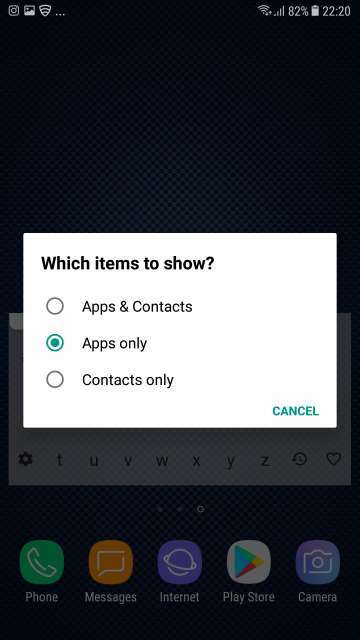 Furthermore, apart from apps, you could also find contacts and open contact details which can be enabled in settings. Enough said, let’s check out the app in action as depicted by the screenshots below. 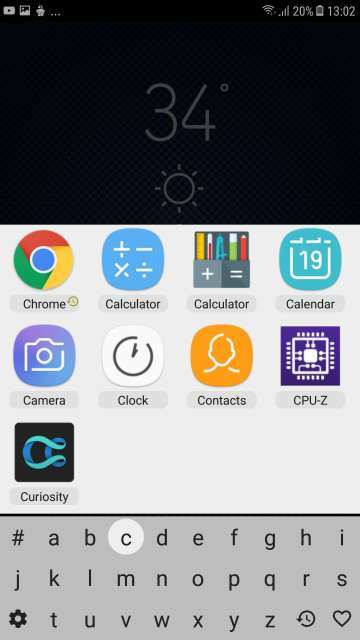 Install LaunchBoard onto your device. 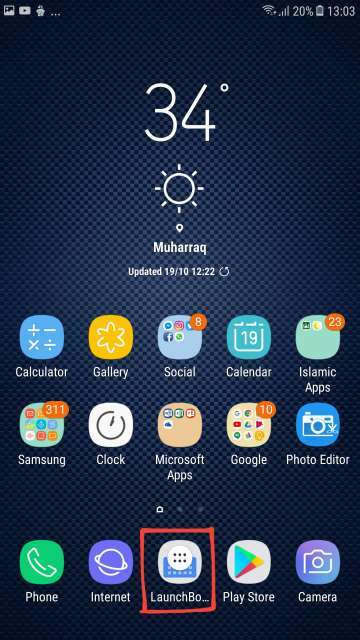 Place the LaunchBoard icon on your homescreen. Launch LaunchBoard and start searching and launching apps blazingly fast. The LaunchBoard icon is highlighted by a red box in the screenshot. LaunchBoard opened. 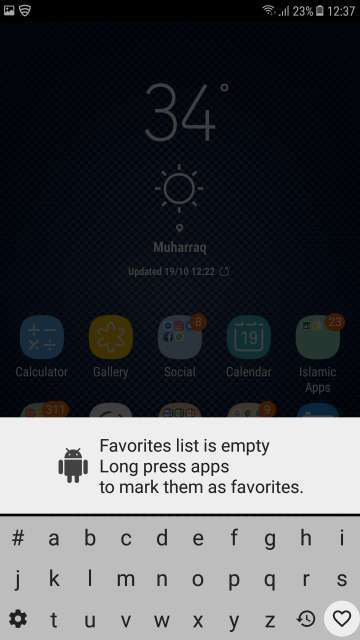 By default, it shows you apps you have favorited. Type in the first alphabet of an app you want to search and launch. All apps corresponding to the alphabet will be shown. Refer to the next screenshot. I have searched for apps names that start with the alphabet ‘C’. Easy peasy. Similarly, you could also search for contacts, which can be enabled in LaunchBoard settings. Tap and hold on any app to access a few options. Options available are: open the app, add to favorites, app info, and view on Play Store. 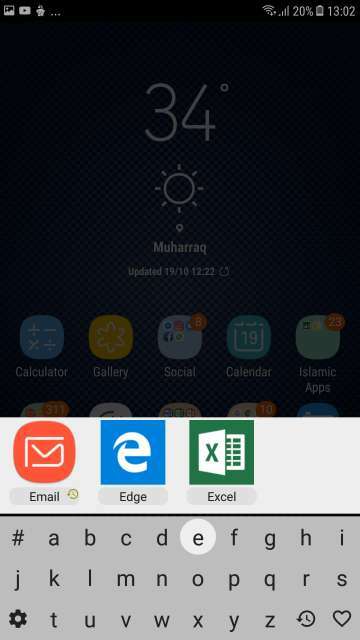 Apps names starting with alphabet ‘E’. Similarly, tap on ‘#’ to search apps names that start with a number. Tap the recent key located beside the ‘z’ key to access recently launched apps. 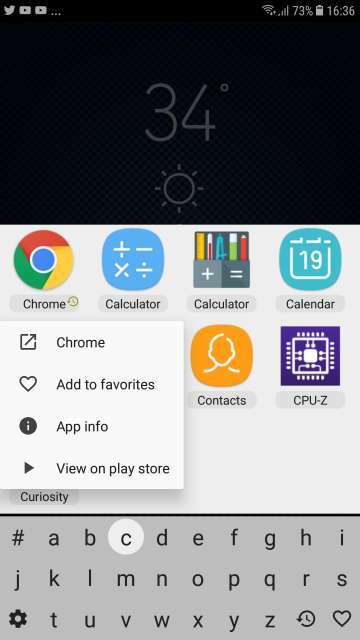 Tap the heart icon located at the bottom right-hand-side corner of the screen and beside the recents key to access apps you have added to favorites Here, I have added Google Chrome web browser to favourites. LaunchBoard homescreen widget in action. Search for apps straight away from your homescreen. 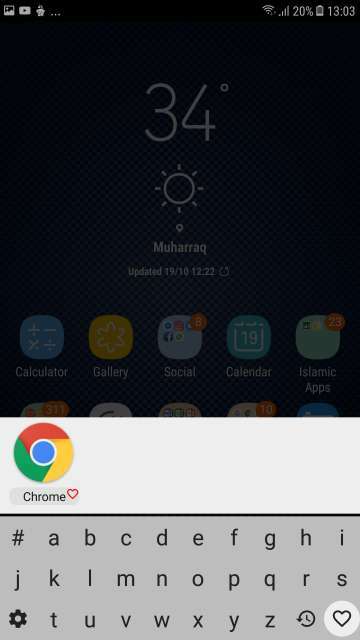 Moreover, tap the Apps button in the widget to enable contacts or contacts and apps search. Also, tap the gear icon to access settings and change the colour of the widget. Checkout the next screenshot below. Tap the apps button in the widget to select whether to search contacts or apps and contacts altogether. Launch LaunchBoard. Next, tap the gear icon located in the keyboard to access settings. So here you go, Droidviewers and tech enthusiasts on my review and in-depth look at an amazing and neat little app. This app is really useful and saves time as it doesn’t require you to open the app drawer and search for the app you would like to launch. Feel free to chime in the comments on your take and experience with this very useful app. 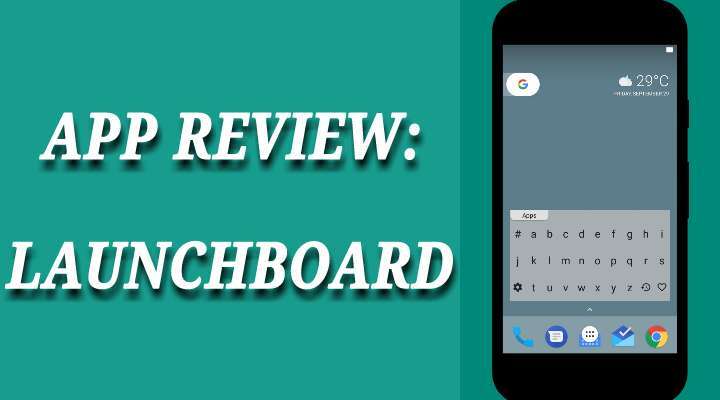 Download LaunchBoard via the Google Play Store link given below.